What is a Federal or State historic tax credit? A tax credit is a dollar for dollar reduction in the amount of tax you ow to the state or Federal government. For a Federal historic tax credit, the amount of credit equal 20% of the amount spent in a certified rehabilitation of a certified historic structure. Select states, such as Pennsylvania, Virginia and Connecticut, offer an additional tax credit that can be combine with the Federal credit. The amount of the award varies by state. What is a certified historic structure? A certified historic structure is a building that is either individually listed on the National Register of Historic Places or located within a historic district that is listed on the National Register of Historic Places. If the latter, the building must be categorized as being “significant” or “contributing” to the district. In some locations, buildings located in a state or local historic district may also qualify. To determine if your building and project qualify for a Federal or state historic tax credit, please give us a call at (215) 636-0192. If your building is not currently designated, it may be eligible for listing on the National Register. What is a certified rehabilitation? A certified rehabilitation is the rehabilitation of a certified historic structure in keeping with the guidelines established by the National Park Service. All work must be submitted to the National Park Service for review and approval prior to the commencement of work. 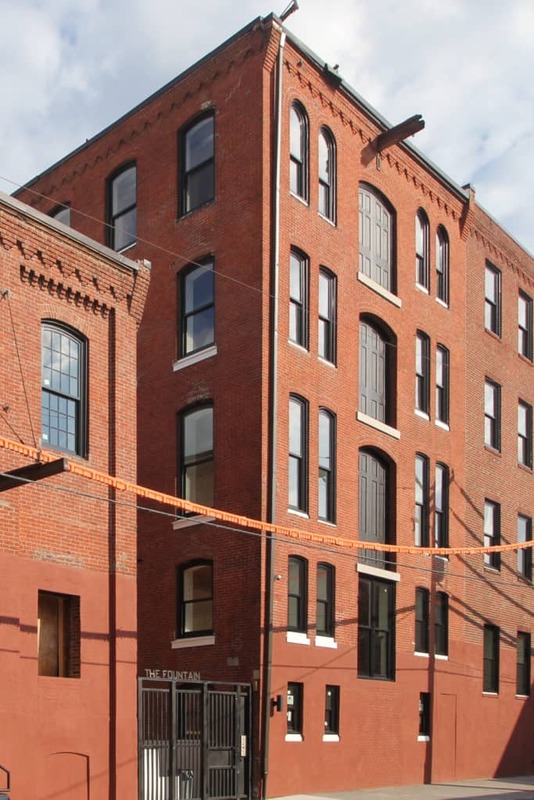 Can a historic tax credit be used for any type of building? A federal historic tax credit can be used for any income-producing property, regardless of building type. Do I need to be the owner of the building to apply for the historic tax credit? You do not need to the the owner of a building to apply for the historic tax credit. However, you do need written consent from the owner that they are aware and approve of the historic tax credit application. How long does the tax credit application process take? From the time of submission, the application is first reviewed by the State Historic Preservation Office, which takes approximately thirty days. They forward the application, along with their recommendations, to the National Park Services, which also takes approximately thirty days. This process is repeated at the end of the project when the work is completed. Can I change the project scope once the work has been approved? The project can be changed at any point through an amendment process. The timing of the process is approximately sixty days and all changes must be approved by both the State Historic Preservation Office and the National Park Service. What happens if I want to sell or demolish my building? The owner must retain the building without any significant changes for five years after the completion of the project. In general, there are no limitations on selling or demolishing the building within that time frame but, if either occurs, the outstanding credit amount will be recaptured, at 20% per year. Is there a review fee for the federal historic tax credit? For projects valued between $80,000 and $3,849,999, the fee totals $845 + .15% of the total rehabilitation costs. For projects valued over $3,850,000, the fee totals $6,500. In both cases, half of the fee is due upon NPS receipt of the Part 2 application and the other half due upon NPS receipt of the Part 3 application. How do I list my building on the National Register? In order for a building or district to be listed on the National Register of Historic Places, it must be determined to be historic under a specified set of criteria. The State Historic Preservation Office and National Park Service review all nominations to ensure that the submission is complete. Are there any limitations on having my building listed on the National Register? The act of listing a building on the National Register places no limitations on the property. There is no obligation to open your property to the public and you can maintain, alter or dispose of the property in any way you choose, as long as future modifications are privately financed. An easement is a federal tax deduction that is available to property owners who donate their facades to a non-profit entity. The value of the donation is equal to the appraised value of the façade and limits the work that can be undertaken on the façade.